Average student has different skills and sport background, some can learn fast and some others little slower. We adjust our way of teaching individually to a student capabilities. 3 hours Course over 1 day from complete beginner to learning the theory and first water starts. 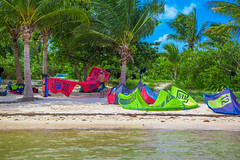 Knowledge of wind theory and set up of the kite. Get familiar and know how to use the safety systems. 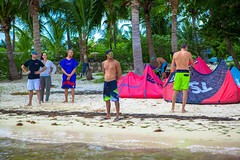 Fly, control, launch and land the kite on land. Practice in the water all the exercises learnt on the land. 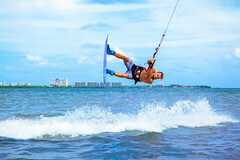 You will learn how to move in the water with the kite (BODYDRAG) in different directions, feeling the power generated by the kite. 6 hours Course over 2 days from complete beginner to some exercises with the board. 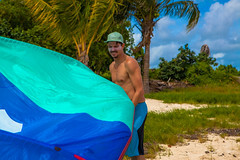 Practice and improve Bodydrag in different directions, feeling the power generated by the kite. 9 hours Course over 3 days from complete beginner to standing on the board. 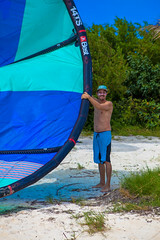 12 hours full Course over 4 days from complete beginner to upwind ride. You will become independent rider. Ride with the board in both directions, controlling the speed. We will focus on the technique and body position to correct any mistakes. 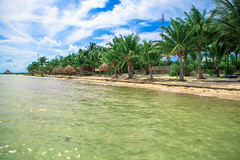 We teach in many differrent locations around Cancun and Playa del Carmen. 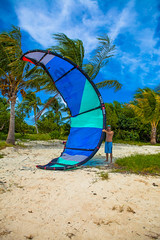 We alwayds check forecast before and will take you to the place where will be the best wind. 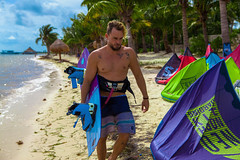 With our extensive knowledge of the local areas you will learn kitesurfing quickly and safely and explore many exotic kitesurf locations around Riviera Maya. 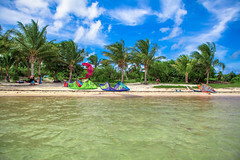 Whether you are a total beginner or an experienced kitesurfer wanting to push your limits we have got a course to suit your level in a magical location. If you have taken the lessons before and want to progress forward we can quickly refresh your skills and move onto next level. 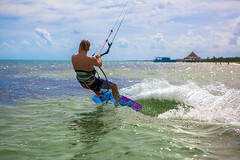 Whether you are a total beginner or an experienced kitesurfer wanting to push your limits we have got a course to suit your level in a magical location. If you have taken the course before and want to progress forward we can quickly refresh your skills and move onto next level. 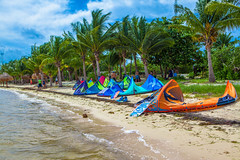 You can sign up for individual, group, semi-private lessons or join one of our highly effective Kitesurf Clinics run by leading professional IKO certified instructors, which are ideal for couples, singles or group of friends. 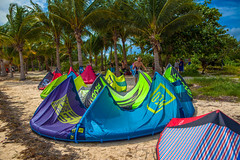 All the kite equipment required for the kite lesson/course will be provided. 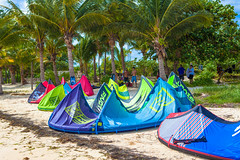 Students will have wetsuits, impact vests, helmets, harnesses, kites and boards. We use latest equipment that is very well maintained. 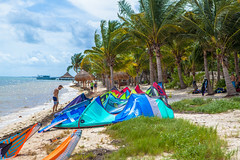 Kiteboarding is a wonderful sport that can be dangerous if you don't know and/or respect basic rules of sailing and if you don't practice kiteboarding in the right conditions. 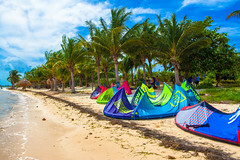 Safety rules and instructions must be observed within kitesurfing course with our qualified instructors in order to be a independent rider. 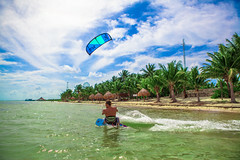 Kitesurfing is now a global watersport found at windy destinations all around the world. You can learn in a really short time when tuition is received from our professional IKO trained staff.